Building on a groundbreaking accord between Dallas Area Interfaith (DAI) and the Police Departments of Dallas, Carrollton and Farmers Branch â€” in which the police agreed to accept parish identification cards as alternative ID â€” upwards of 1,100 parish ID cards have been issued since the campaign was launched. With some parishes requiring active membership from applicants for at least six months before issuing the card, the waiting list of submitted applications has, so far, exceeded 2,200 applicants and is expected to grow. This joint effort with the Catholic Diocese is bringing immigrants out of the shadows and into fuller participation in congregational life. At San Diego Diego Catholic, 1,000 applicants were newly registered as members of their parish, even after years of regular church attendance. 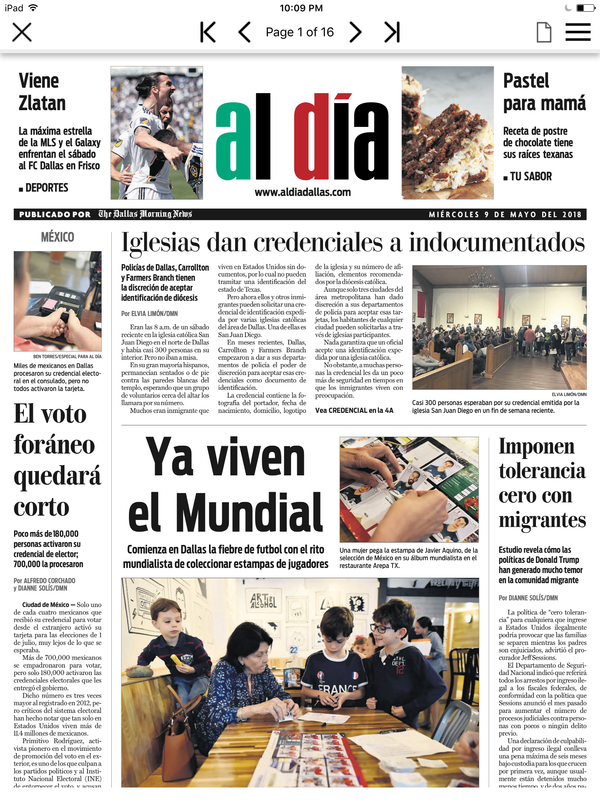 Teams of leaders identified by DAI, and trained (in Spanish) through a collaborative effort with the Catholic Campaign for Human Development (CCHD), help keep the cost of the parish IDs affordable for families. Nearly 300 parishioners of San Juan Diego Catholic Church lined up by 8am on one Saturday morning to apply for a church-issued ID. Five hours later, 500 applications were filed by parish leaders and 300 cards issued that day. Without an ID, said one parishioner, "we are scared of what could happen if we are stopped by the police." With parish ID, families are feeling a greater sense of belonging and confidence in dealing with law enforcement. Said DAI leader, Adriana Godinez, "For us, this is a really important document. We cannot take it lightly. It's something that person is going to show to an officer." In training sessions held this month, police departments have committed to training their officers to recognize these cards as alternative identification. Dallas County Community College has also committed to accepting the IDs, for purposes of enrolling in GED, US Citizenship and English-language classes. According to one applicant, Antonio Coahila, "It's a bit of a relief. It's like you finally have an identity."